Interestingly, Ishiro Honda, the director of Godzilla, actually worked for the legendary Akira Kurosawa as an assistant director starting in 1949, (intermittently) spanning a period of over four decades. 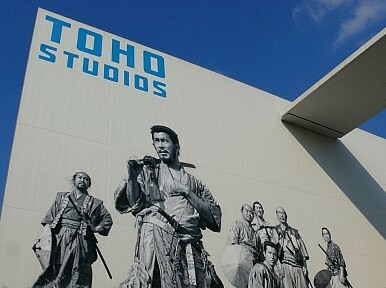 And although at one point their respective hits (Honda’s Godzilla and Kurosawa’s Seven Samurai) went head-to-head for Best Film award at the Japanese Academy awards, it was Kurosawa’s Seven Samurai, about a misfit gang of 16th century hard-on-their-luck samurai who band together to protect a village from savage bandits, that took the top prize—and rightfully so. Consistently a feature on ‘best film’ lists, Seven Samurai has time and time again been described as one of the greatest and most influential films ever made. One of the first Japanese films to gain enduring critical acclaim and recognition internationally, Kurosawa’s masterpiece has inspired everything from the US hit western The Magnificent Seven to India’s Sholay, the nation’s biggest movie to date still, since its release back in 1975. It currently ranks number 15 on the Internet Movie Database’s 250 top movies of all time list—a major feat for a foreign movie over half a century old. Michael Raine, a professor of Japanese cinema at the University of Chicago, concurred (with a true expert’s take), telling me that he too considers Seven Samurai—‘the supreme example of the Toho action cinema…. [a] genre developed during WWII on the model of John Ford’s Stagecoach and was then re-imported to the rest of the world through films like Sholay in India, the spaghetti westerns in Italy, and the Lucas / Spielberg movie brats in the USA’—the most influential Japanese film of all time.